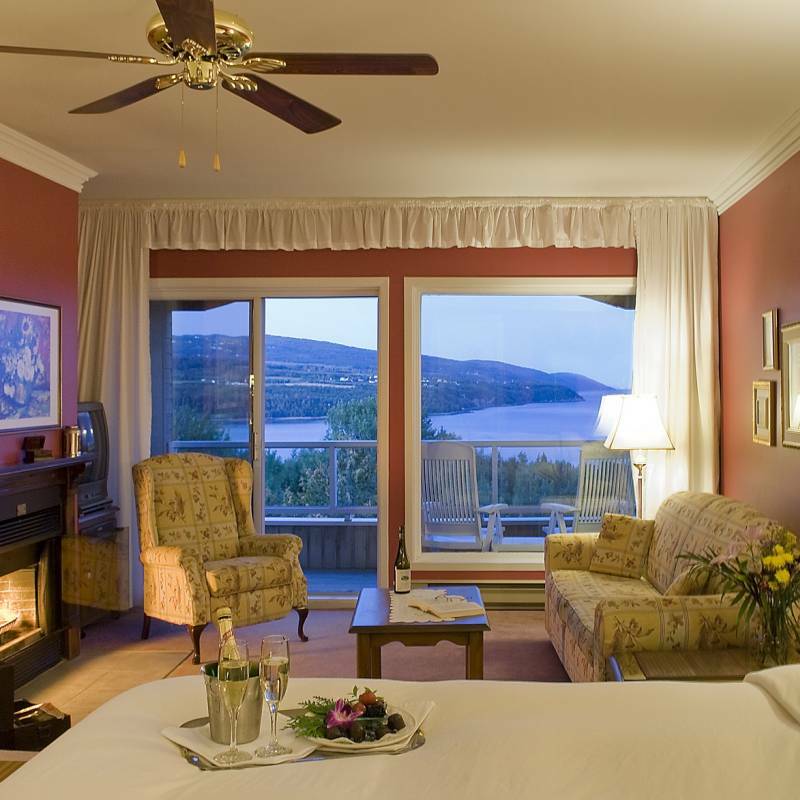 Perched high on a cliff overlooking the St Lawrence River, Auberge des Falaises is in the heart of the beautiful and interesting Charlevoix area of Quebec Province. Close to wonderful whale watching, the Charlevoix Biosphere Reserve and the Manoir Richelieu golf as well as all the art galleries of Baie St Paul and the Ile aux Coudres. 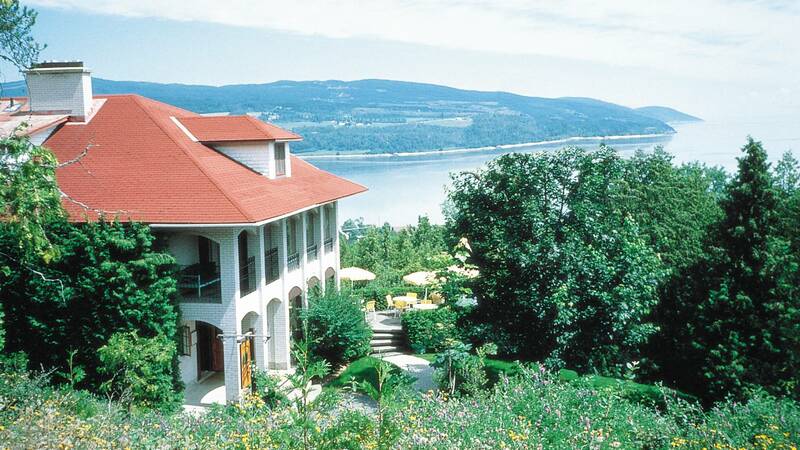 The Inn has a very pretty garden, a Nordic Spa and an excellent restaurant. 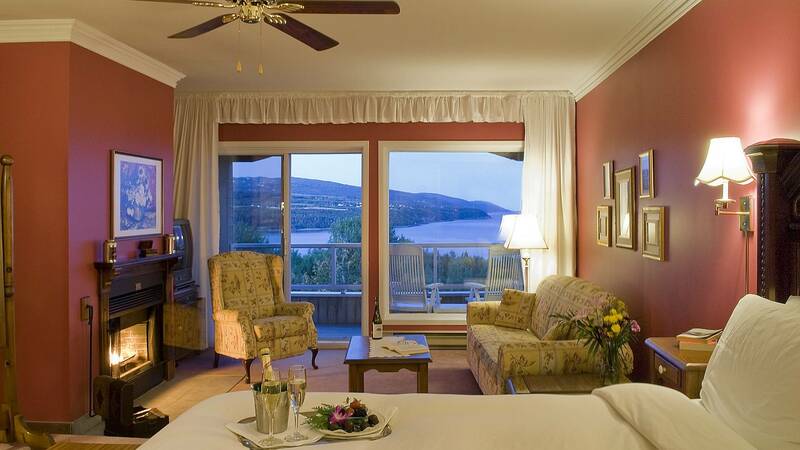 Regular Rooms – have a queen bed and private bathroom; most of them with a view of the St. Lawrence river. They all have television and dvd players; some have a balcony. 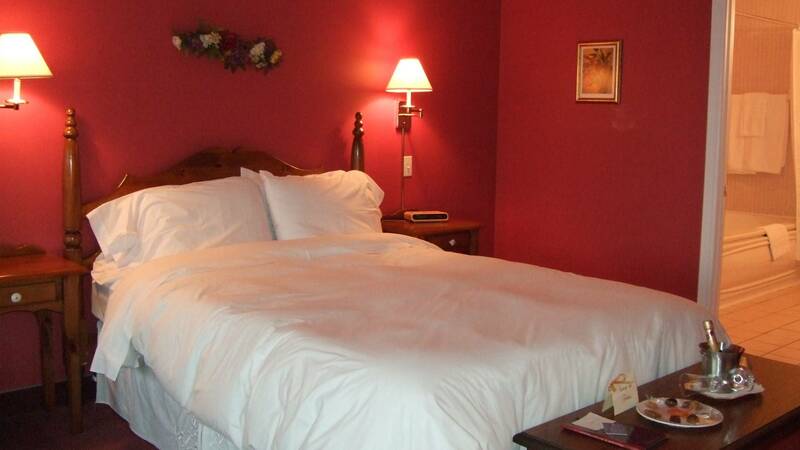 They are all beautifully decorated with fresh country colours and comfortable beds. Junior Suites – all have a balcony and river view, they also have a generously sized sitting area with fireplace, refrigerator and coffee machine. Very pretty inn, typical of the best of Quebec hospitality.